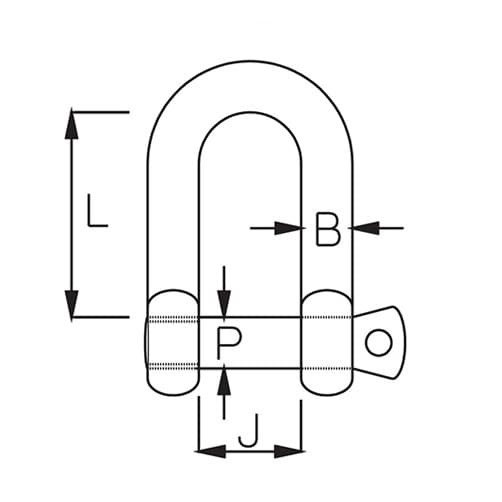 Superior quality stainless steel D shackle offering high breaking loads and high resistance to stress corrosion cracking without compromising the integrity of the shackle. High resistance shackles are forged from 17/4PH grade stainless steel. After production of the entire shackle, we process and re-condition the material to ensure that the mechanics of the shackle reach its optimum levels. We consider this to be the optimum condition for 17/4PH for use in a marine application. Manufactured from 17/4PH precipitation hardening martensitic stainless steel. Corrosion resistance approximating to that of 18/8 grade steels, high tensile properties while avoiding work hardening. High resistance stainless steel D shackles are manufactured here in the UK. 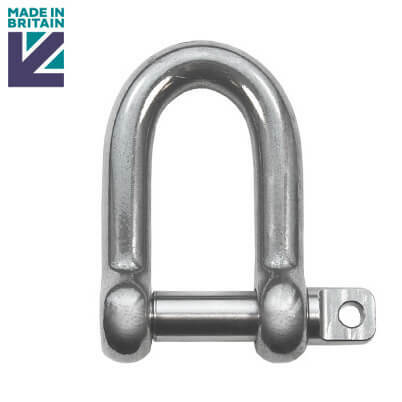 Top quality stainless steel shackle at a good price and very quick delivery too. Highly recommended. Good kit. Good service. Good experience.